Former NBA player Lamar Odom has been hospitalized after being found unconscious at a Nevada brothel following days of partying. 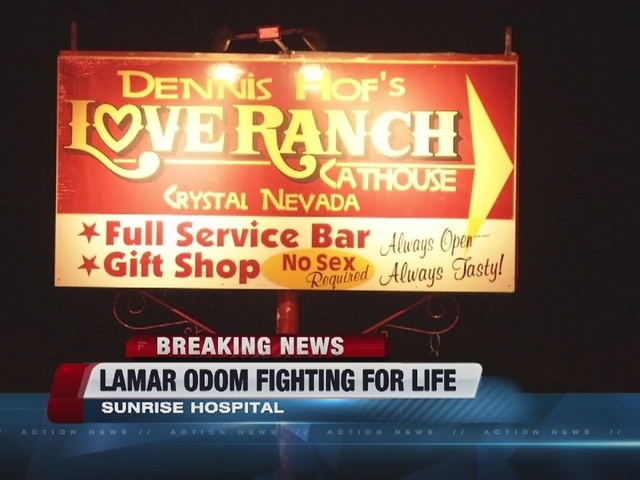 The owner of Dennis Hof's Love Ranch South in Pahrump, Nevada, said that Odom, 35, arrived at the ranch Saturday. They noted he had been taking an herbal substitute for Viagra. "People are talking about drugs. We saw no illegal drug acts," Dennis Hof said. "This guy went sleep every night and ate like a horse, so I don't believe he was doing anything at all." The brothel told police that when a woman went into Odom's room in the VIP suites, she found him unconscious and started screaming for the manager, who subsequently dialed 911. When the manager rolled Odom – ex-husband of Khloe Kardashian -- over on his side, he reportedly saw "mucus-type liquid coming out of his nose and mouth." Hof told KTNV that he wasn't looking good. Odom was transported to a Pahrump hospital where he was reportedly intubated, an indication that he could not breathe on his own. He was going to be airlifted to Las Vegas but due to his height, they were unable and he was transported to Sunrise Hospital by ground ambulance. The athlete was reportedly at the brothel by himself, unaccompanied by any friends. But Hof said Odom was having fun despite seeming down on Sunday. "The only things we saw is this Sunday after he was a little saddened," Hof said. "He got a phone call or a text that seemed to bother him a little bit, but he shook it off and just wanted to have some fun." Odom's former team, the Los Angeles Lakers, was in Las Vegas Tuesday for a preseason game against the Sacramento Kings. 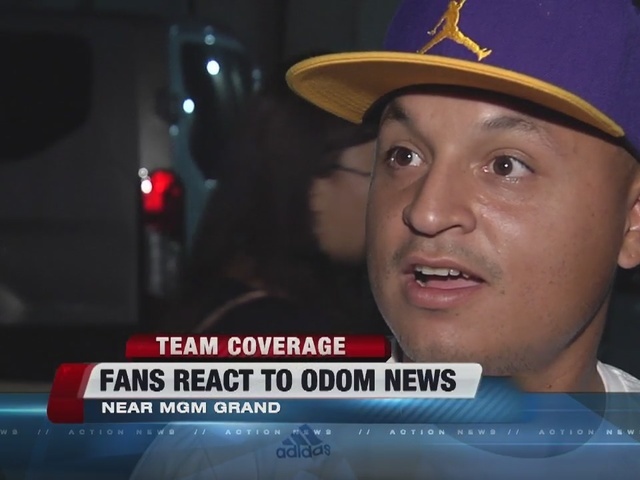 Fans after the game were shocked and concerned about Odom's hospitalization but praised his time on the team. The Lakers won two championships during his time on the team. "It's sad to see that it is taken a turn that he did," said one fan. "He was a respected Laker player and now he's you know." 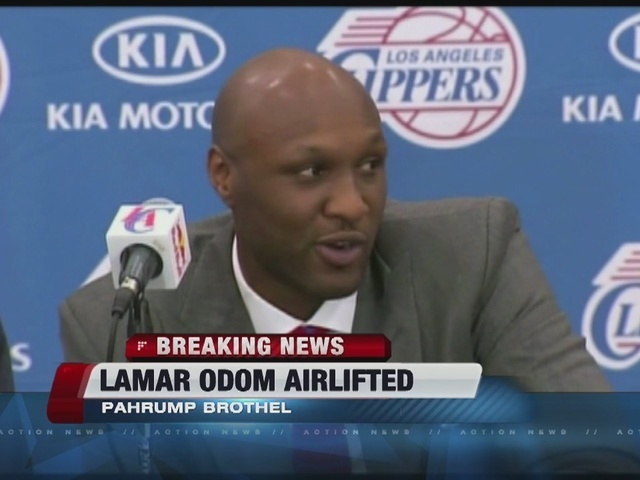 Odom has a history of substance abuse. In 2013, he checked himself into a rehab center for drug and alcohol abuse, following his arrest on DUI charges in California. Back in 2001, Odom admitted to two violations of the NBA's drug policies. Members of the Kardashian family are at Sunrise Hospital with Khloe arriving around 8 p.m. Tuesday.